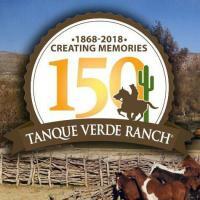 Tanque Verde Ranch is one of America’s old time cattle and guest ranches. Tanque Verde is Spanish for “green tank” or “green pool” and now designates all the area east of Tucson rising into the Rincon Mountains. Heavily watered and with substantial artesian pressure, this location was an ideal desert watering hole. Originally, it was settled by the Pima Indians in the 1600’s near the Cottonwood Grove, who carved bedrock metates began grinding stones out of the nearby rock outcroppings. Don Emilio Carrillo, born in Santa Cruz, Sonora Mexico, moved his family to Tucson in 1856, shortly after the Gadsden Purchase of 1853 which brought southern Arizona under the control of the United States. He started ranching in the Tanque Verde Valley in 1868 where he had the protection of Tucson’s Fort Lowell patrols from the marauding Apaches. Carrillo became quite successful, which sought the attention of bandits who, on May 7th 1904 raided the ranch demanding his money. They hung him by his neck over the beam in the present day card room; somehow Carrillo survived, but died four years later due to complications from the ordeal. His son, Rafael, assumed leadership but, later, sold the ranch to Jim Converse in the mid 1920’s. Cattleman Jim Converse introduced better genetics to the herd and became a very successful rancher in the Tucson Valley. Following the example of the Eaton Brothers in Wolf, Wyoming, Jim built the present day Ramada to welcome Eastern guests to the Tanque Verde Ranch in 1928. Willing to pay a fee for the ranch life experience, these guests provided Jim with enthusiastic labor and much needed cash. Being a brash cattleman, a dedicated hunter, and terrific raconteur, Jim was an exceptional host. Unfortunately, on September 29th, 1945, after a few drinks at a local bar, he accidentally shot a Mexican cowboy. Enduring a controversial set of trials, he was ultimately convicted of manslaughter. The experience, however, sapped his enthusiasm and he sold the ranch in 1957 to Brownie Cote. Forgoing a promising law career, Brownie decided to follow his passion for developing the lives of the youth, purchasing Camp Lincoln for Boys in 1921 and Camp Lake Hubert for girls in 1924, near Brainerd Minnesota. Being successful, he acquired Grand View Lodge in 1937 to accommodate parents visiting their children in his camps. In 1944 he purchased the Desert Willow Ranch in Tucson Arizona to offer year- round employment to his seasonal Minnesota employees. 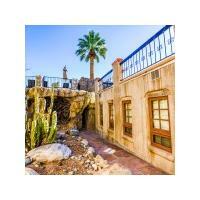 Responding to Tucson’s rapid growth, he acquired the Tanque Verde ranch in 1957. 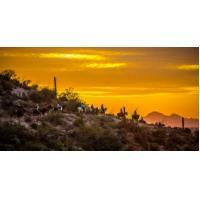 The ranch, bordering the Saguaro National Park and the Coronado National Forest, offered unlimited business opportunities. Brownie’s son, Bob, took over management in 1969. Having spent the thirteen previous years overseas in a variety of countries, Bob decided to market heavily in Europe in the early 1970’s and to remain open year round. He and his wife Rita have introduced a wide range of activities to cater to the varied interests of multiple families now visiting the Tanque Verde Ranch. Retiring in 2009, Bob and Rita live on property and are seen almost daily visiting with their many ranch friends. The present day ranch has 640 acres and also leases from the U.S. Forrest Service approximately 60,000 acres for its cattle operation. Guests today can experience its varied history with miles of exciting horse trails, which wind their way through desert and mountain scenery where once silent Apaches waited in ambush to surprise Carrillo’s cowboys. Four tennis courts now lie in neat formation among the towering saguaro and ocotillo, and the bright swimming pool sparkles in the Arizona sun, where Converse’s Mexican vaqueros once roped bawling steers. 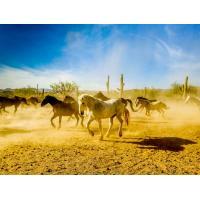 The ranch’s 150 plus horses are rounded up in the old rough hewn mesquite corral fence for the morning ride, where both Carrillo and Converse would gather their cattle for the drive to the Tucson market. Today’s guests can kick off their dusty boots and gaze into the spectacular Arizona sunsets just as the earlier cowboys did after a long days ride. 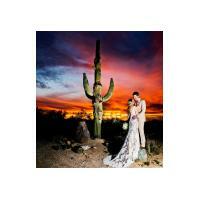 History is still part of the Tanque Verde life today.